AUGUSTA, GA. – They are educators, they are administrators, they are coaches, they are faculty, they are staff, and they are Jaguars. Among the four College of Education alumni honored with a Jag 20 Award this year, no two are alike. But all have upheld the values of Augusta University, and made significant impact in their careers, in their communities, and on their alma mater. This year’s award recipients will be honored at on Saturday, May 1, at the Alumni Weekend Farewell Brunch at the Legends Club. Augusta University Professor of Occupational Therapy Sharon Cosper, New Teacher Center Program Consultant Jason Fulmer, Augusta University Professor of Education Stacie Pettit, and Augusta University Basketball Assistant Coach Jamie Quarles have all been chosen to receive the Jag20 Emerging Leaders Award. 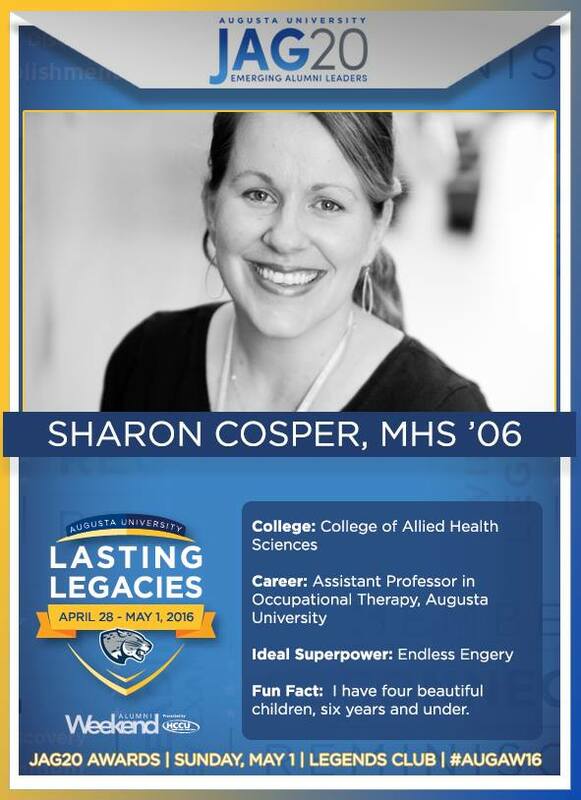 Cosper started 2003 at Augusta State University, and transferred to a Master of Health Science program with the Medical College of Georgia, from which she graduated in 2006. Now she’s a student once again, this time at Augusta University, pursuing her Ed.D. in Educational Innovation. 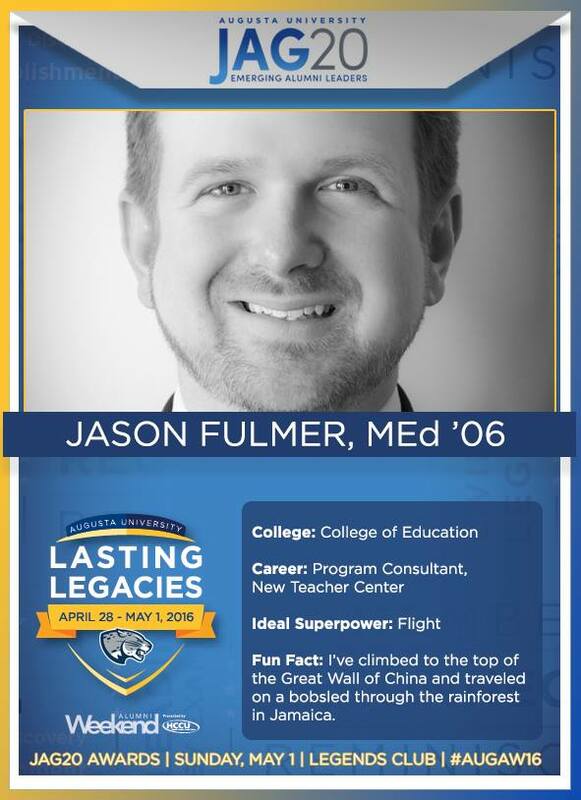 Fulmer received his bachelor’s degree from the University of South Carolina-Aiken in 1999, and then came to Augusta State University to finish his M.Ed. in Educational Leadership in 2006. Since then, he has pursued non-profit efficacy and policy work with the New Teacher Center. Fulmer chose Augusta University because of the intimacy of the program. Pettit began with a bachelor’s degree from the University of Georgia in 2000 then completed an M.Ed. 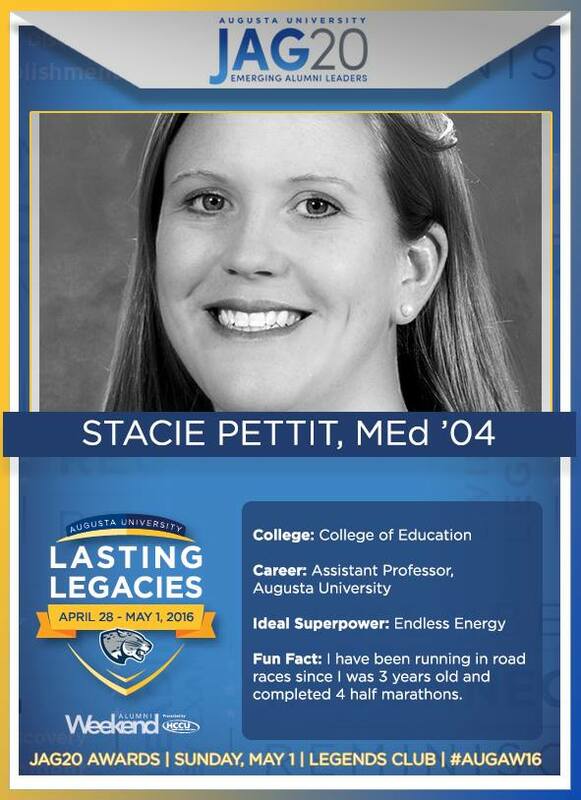 from Augusta State University in 2004, while teaching at Lakeside High School, before returning to the University of Georgia and completing her Ph.D. in 2008. “Winning this award makes me feel like I’ve made a difference in the field of education, which is the reason I pursued this career in the first place,” Pettit said. 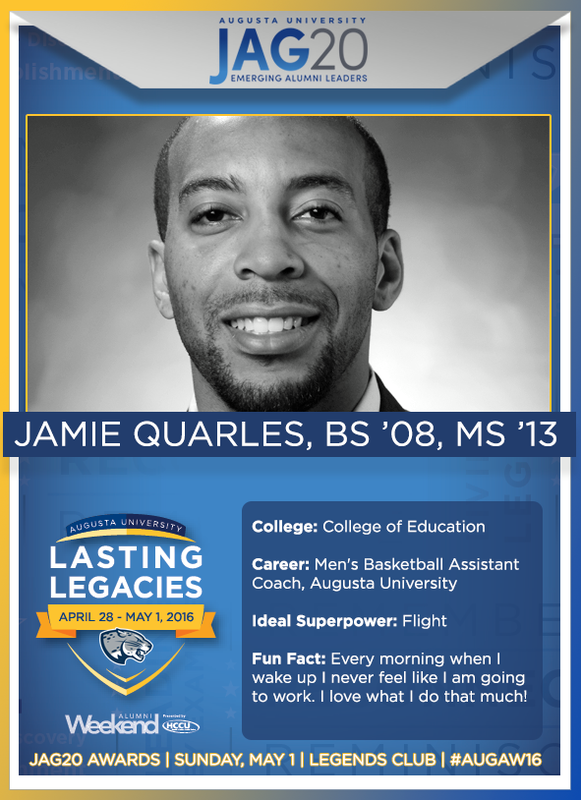 Quarles completed his Bachelor of Science in Education, Health & Physical Education at Augusta State University in 2008, before heading off to teach and coach basketball at Oak Hill Academy and then King University. He returned to Augusta University to complete his master’s in kinesiology in 2013. “This award means a lot. I’ve out so much into the university, so it’s cool to be recognized. I just go about my job, but to go to school here and be a part of the university as an employee, it makes it extra special,” Quarles said. Congratulations to Dr. Pettit! I have had the privilege to be her student twice. She’ll turn a methods course into a theory course and a theory course into a methods course. You’ll always get the best of everything when you take her courses.